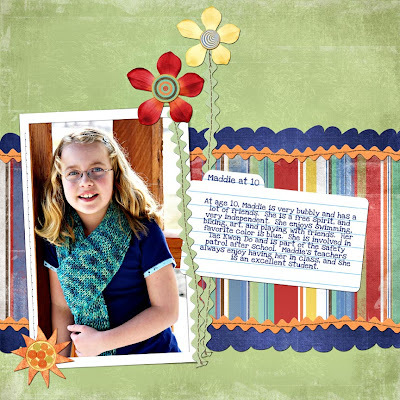 I shared a page earlier this week using the July Songbird Avenue kit - do you know about Songbird Avenue? They introduce a new kit each month to benefit a specific charity. I love it when I am scrappin' for a cause! The July kit (Endless Summer - preview above) is by one of my favorite designers, Dani Mogstad, along with Jan Crowley and Meredith Fenwick - and Dani is offering up an extra FREEBIE! HOW COOL IS THAT??? 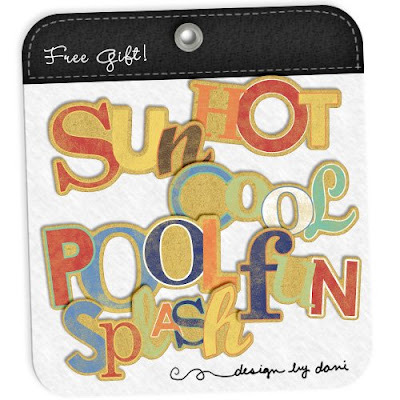 To get the freebie (pictured below), check in at the Songbird Avenue blog - I love these chipboard words! SO FUN! And today is the last day to grab the Endless Summer kit too - Happy Shopping! I can't wait to see what's in store for August! It's *almost* the weekend! YAY! Have a fabulous day! 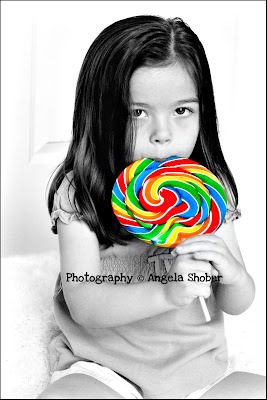 Here are some faves of Miss Isabella...I love this lolly - SO FUN! 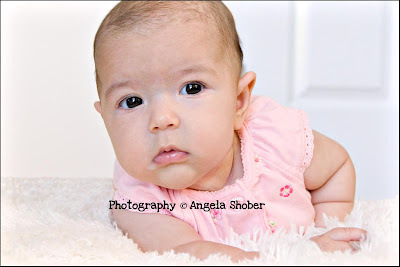 Next up - Miss Abigail...this baby just makes me SMILE! 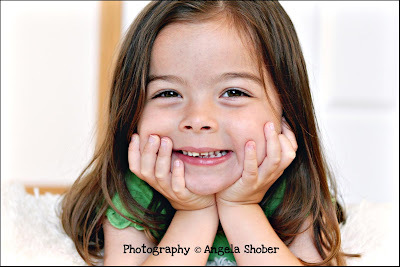 She's at that super fun age with LOTS of smiles! I am already plotting my next visit with these darling girls! I'll have more to share later in the week - Have a WONDERFUL WEDNESDAY! Just a quick post today and then I have a bajillion things to do! 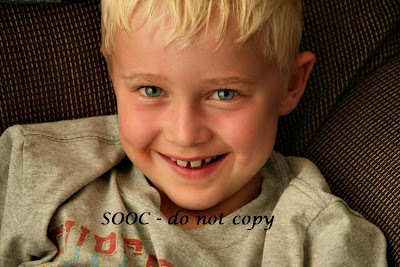 I *still* cannot believe that my baby is TEN! How'd that happen??? I guess we are in the dreaded "tween" years now, lol. 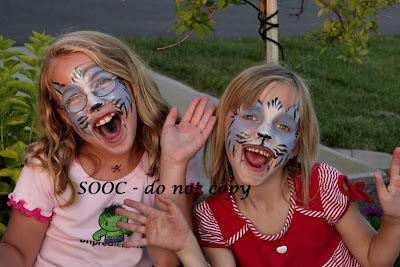 Only a few short years until the teen craziness ensues, aaaack! 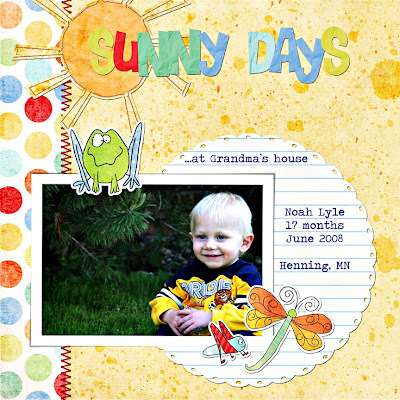 Page Credits: Endless Summer kit from Songbird Avenue; frame and recipe/journal card by ksharonk from 2LittlePixels, Scallop edge by Jen Caputo from ScrapbookGraphics, Love Ya Like a Sister font. 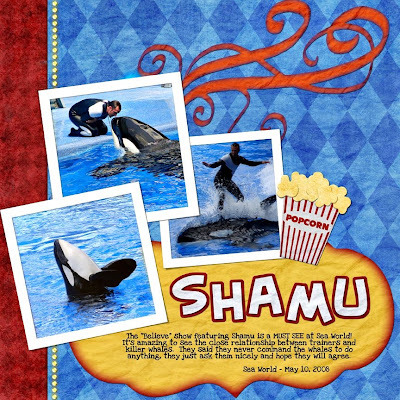 If you are visiting Sea World, the new Shamu "Believe" show is a MUST! (I think this show was brand new in 2006?) I am in such awe of the killer whale - because of their size of course, but they also manage to be so graceful and fluid. It's incredible to see what these Sea World trainers can accomplish with them. They are obviously very smart creatures! I was really pleased with the pictures I was able to get during the show, (I have a 12x zoom on my point & shoot camera, so I could zoom in really close!) so I felt that Shamu needed his (or is it her?) own page from our 2008 Florida trip. Ahhh...I love my doggie! She really puts up with me, heh heh. 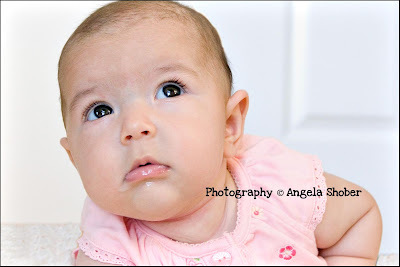 A lot of days, when I want to try something with the camera, she is the only one around! Can't you see how enthralled with photography she is? 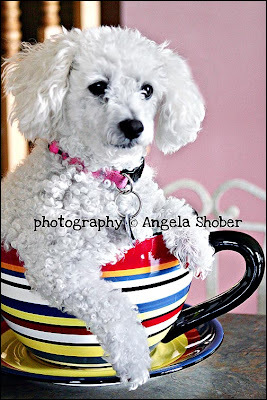 This photo is *really* about the GIANT TEACUP (but shhhh...don't tell the doggie!) - I am a member of a children's photography forum (ilovephotography or ILP for short) and these giant teacups have been all the rage for quite awhile now. It's actually a PLANTER from good ol' WallyWorld (Wal-Mart) and it's HUGE. And I finally snagged one this week! YAY! MOST PEOPLE put darling chubby babies in them, but I am short on babies at my house, so I grabbed my "baby" for a photo op, lol. 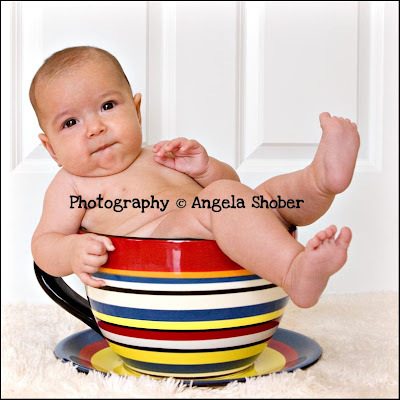 BUT SOON, I hope to put my friend Sara's darling chubby baby A in this teacup and snap some BRILLIANT PORTRAITS. YAY! Have a FABULOUS FRIDAY people! 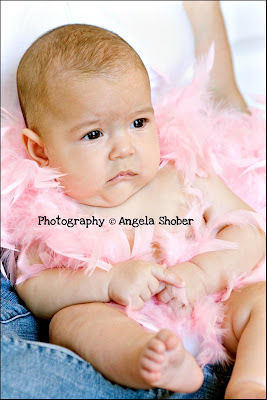 Now - ordinarily, I get "grumble, grumble" and rolling eyeballs when I pull out the camera, lol. BUT, lately I've been getting some cooperation! YAY! I guess they are getting used to me and my camera practice, lol. I am constantly picking up different tips here and there, and I usually want to test them out right away. A lot of times, it's just me and the dog, - so I'm always happy when there is a son or daughter nearby to practice on! This is the same photo I shared last week in the Before and After post. And I finally figured out what happened with it - I had the camera set to CWB (custom white balance) from the last time I had used the camera, which was entirely different lighting circumstances - so that is why it came out so dark! 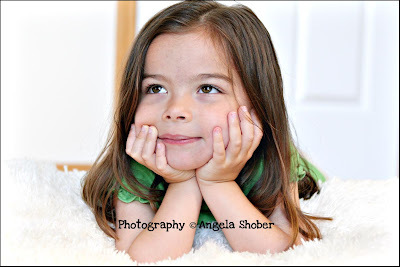 SO MANY THINGS to remember with photography! I look forward to the day when it will all be second nature! But thank goodness for photshop magic, to save my mistakes, haha! Page Credits: Psycho Magnet kit and glitter styles from Studio Flergs at Scrapbook Graphics; Love Ya Like a Sister font, from daFont. Pssstttt...And right now they have a HUGE COLLAB available FOR FREE if you spend $10. If you spend $20, you get a matching mini accordian album. Happy shoppin'! Have a MARVELOUS MONDAY! UGH! Don't you hate it when you can sleep in, but you wake up anyway??? This page came together pretty fast. I was flipping thru an old issue of Simple Scrapbooks, and saw a similar paper layout. 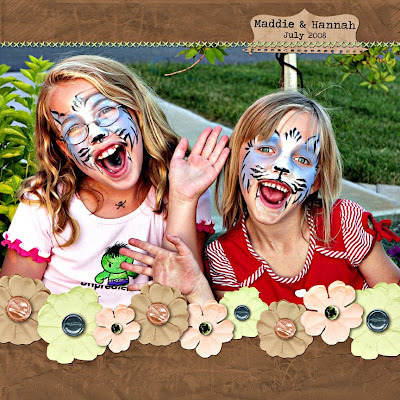 I loved the paper strips - a great way to use up your scraps! Well...I don't have any scraps, since I haven't paper scrapped in about a hundred years, lol. And with digi scrappin, THERE ARE NO SCRAPS! That is what I love about it - NO MUSS, NO FUSS, NO CLEAN UP! And all my pattern papers are intact, even though I use them over and over. With photoshop - you can easily just "cut out" some strips and then "drag" each one over to your layout. I, of course, was cutting each one individually, until I realized I only needed ONE from each sheet, and then I could COPY that layer to a NEW LAYER. DUH! 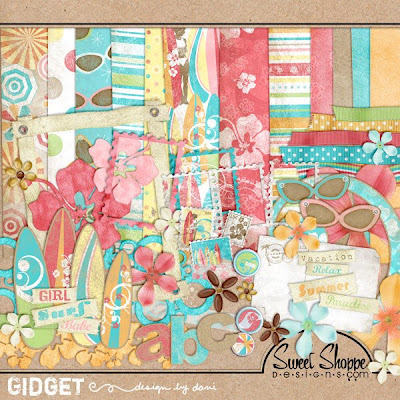 I was *determined* to scrap with this new kit called Bounce from The Shabby Shoppe - I *love* all her stuff! This is the "boy" kit that coordinates with the Twirl collection/girl kit (I used Twirl in my blog banner) but I think it would work for both boys and girls. I love the bright colors - so fun and summery! I adore the little stickers that are included (had to stop myself from using them ALL, haha). If you read my post from yesterday, THIS was the kit I was trying to make work with the picture of Mad and her friend with their faces painted - I just love the bright red! So for this page, I actually worked BACKWARDS, and picked a PHOTO to match a specific kit I wanted to scrap with, lol. It worked out so well that I think I'll continue on with that method! I simply *had* to scrap this image! I haven't scrapped in awhile, so, while this page is pretty simple, it took about 3 hours, LOL! Because I had to find *just the right* kit to use, so I got all distracted looking thru my entire collection of digi supplies! I was determined to use something with RED in it - but in the end, I couldn't make it work with one pink t-shirt and one red t-shirt. GRRRRR! So I went neutral - with this rich chocolate brown (mmm CHOCOLATE!) and some khaki and peach flowers, and just a tiny hint of spring green. 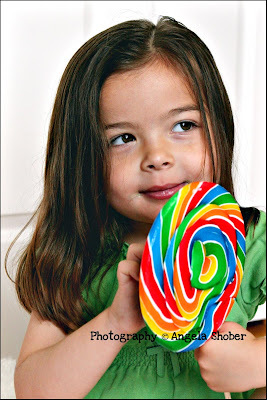 My inspiration is from THIS POST from ksharonk. 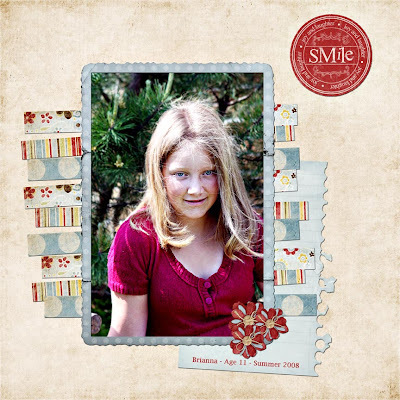 She is one of my favorite digi designers - I love her clean style - the focus is on the photos! I liked how she used one photo, and scaled it to be the entire width of the page. WHOA! It's been a long time since I BLOGGED! Aaaack! It's been a fun (and busy) summer so far! 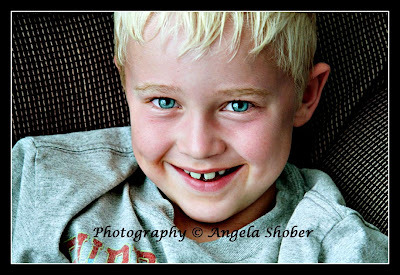 I'm still plugging away with my camera and photoshop! I guess I got out of the habit of blogging - hopefully I can get back into the swing of things! Today - I'm sharing a few Before/After photos. 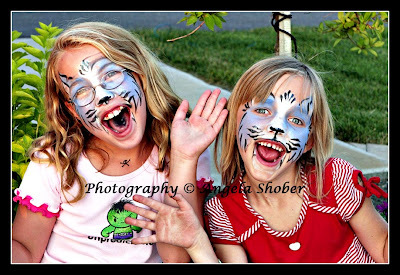 I'm attending a retreat in August, and will be teaching a beginning photoshop class with a basis on improving your snapshots. This is right up my alley - as I could play in photoshop FOREVER! Seriously. FOR.EVER. So I have been polishing my skills, and I definitely see some improvement. And since my quest for perfect exposure is taking longer than I thought...(*eyeroll*) I have a NEED for these PS skills, lol. And HERE is my fix! My son no longer looks like an OOMPA LOOMPA! YAY! My "snapshotty" image is now a WOW, with just a few tweaks in PS! For my fix, I brightened it up a bit, added some contrast and adjusted the color balance, and then ran a color pop action. (I used Pioneer Woman's "Boost" action from her free action set).